A Light Blenders Blog: Thoughts and Tutorials for VJs, Visual Artists, and Entertainers. They’re compact, affordable, and powerful enough to handle a wide range of projects. In this article, I’ll go over some Pi-powered options and simple setup. Whether you’re a projection mapping beginner or pro, the RPi may be perfect for your next project. As a disclaimer to this article. Basic Linux commands and knowledge are recommended for anyone looking to work with a Raspberry Pi. The exception to this, the minimad, integrates with MadMapper’s software and is easier to set up. PocketVJ runs off of ofxPiMapper and features a web portal for control, but ofxPiMapper by itself will take a little bit of research to become proficient at it. I’ve been using Raspberry Pi’s for installations and various projects for years now. My longest running Pi install has been going on for 3 years now, and I have yet to replace anything more than a microSD card. This is not a guarantee that the Pi is perfect for you, but it should come as a reassurance that they’re built to last. When it comes to projection mapping with the Raspberry Pi, a few options come to mind. Madmapper’s miniMAD, ofxPiMapper, and the all-in-one PocketVJ. All three are excellent choices, and between each of them, there are some pro’s and con’s that you’ll want to take into consideration. If you haven’t tried it already, open frameworks PiMapper, simply works. You’ll want to plug a keyboard and mouse into the device to control it, but it boasts a wide feature load and continual developer support. I’ve documented how easy it is to get up and running with the miniMAD here: but with its price point of $220 + a mad mapper license ($420 own, $42 / month rent), it may stretch your budget further than you’d like. 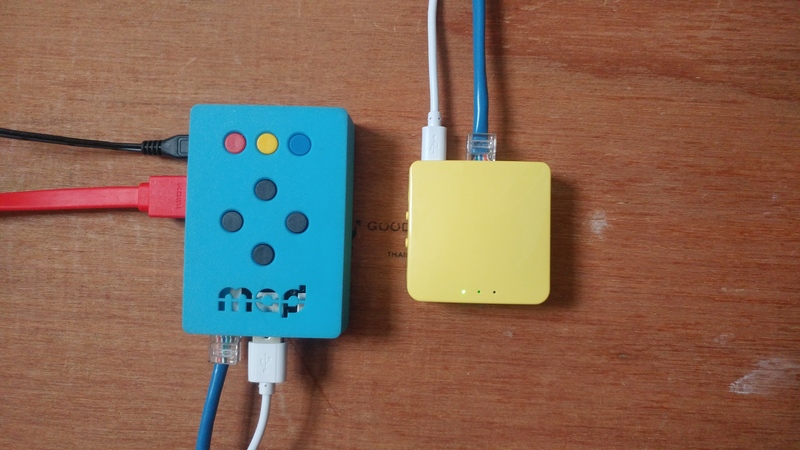 Currently, the considerable advantage that the miniMAD has over all other RPi mappers that you can Sync a lot of them over ethernet for multi-mapped installations. It uses Madmapper (Mac/PC) for setup, which makes it the most natural RPi projection mapper that I’ve tested. Here’s a gif from the developer of 28 miniMADs in sync. PocketVJ 3.5 is a portable multimedia tool based off of the Rasberry Pi platform. It hosts a wide feature set that easily accessed on a Phone or computer through a custom web control panel (CP). Unlike the miniMAD, the PVJ supports wifi connections and video player sync. But like ofxPiMapper (which the PVJ uses), you cannot sync mapped content. An easy way around this is to record the mapped output from a computer. Load the pre-rendered videos back onto the Pi and play them in sync. Since the PVJ has Pi Wall and a sync’ed video player, you string them together for a multi-projector installation. Not to mention, you can run custom scripts through the web CP and automate your installations. OLA, DMX, & QLC+ support. No video sync with mapping. If you have a Raspberry Pi 2 or 3 laying around, you can go here, follow the instructions and build a pocketVJ from scratch or support the developers by buying a PVJ from Switzerland. If you do it yourself, make sure to update the CP (control panel) to the latest version: here follow the instructions on the page, and you’re up to date. If you want a miniMAD, you’ll have to buy one from Madmapper. Don’t forget to buy or rent a MadMapper license if you don’t already have one. Here’s one you can set up now. Support the developers 🙂 if you’d like. Download and install Etcher (Mac/PC/Linux). Insert a MicroSD card into your computer, open Etcher (it should auto-select the drive) select the PiMapper image, and click Flash. Once it’s done. Insert the microSD card into your pi. Plug in a USB mouse &/or keyboard. 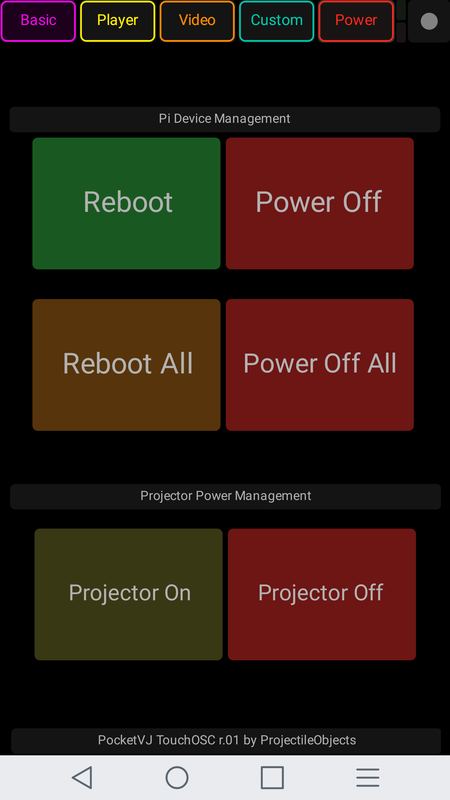 Power up the pi with it plugged into your projector. (optional, connect it to a network via Ethernet for additional features and control). The Pi should boot up and present you with an example Triangle. 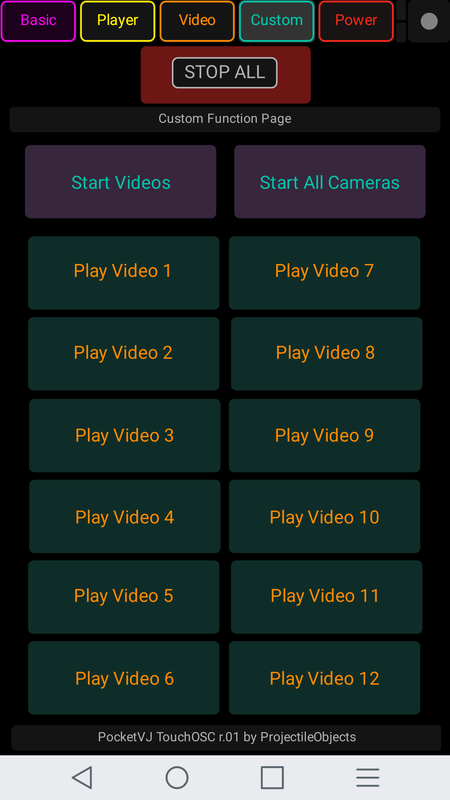 Using 1, 2, 3, 4 to switch between the different modes, you can manipulate, and add layers, change the source video, and other adjustments using the keyboard. I recommend a “wired” USB mouse as I’ve run into issues with wireless mice movement being choppy. Experiment with it, and hit the “i” key if you want keyboard command info on the screen. If you want to access the Raspberry Pi command prompt, hit the “Esc” key and find yourself at a screen that says opm login: The username is “pi” and the password is “raspberry.” If you’re stuck at this menu. Log in and, type in “sudo reboot now” this will restart the pi and get you back to the example of ofPiMapper. If you want to use your media plug in a USB thumb drive with the photos and videos (.mp4) and reboot the Pi. It should detect the files on the thumb drive for use in your new layers. (see the ofxPiMapper documentation for file types and troubleshooting). ofxPiMapper is not as easy as the PocketVJ’s web FTP & control panel or Madmapper’s export feature to the miniMAD, but if have a Pi and 30 minutes, this basic ofx mapping example is good enough to get you started. If you like what you see thank the developers by supporting their projects. That being said, before I knew about the PocketVJ I was playing around with Madmapper’s miniMAD. They’ve made a lot of changes to it since its release, but it still doesn’t offer Pi 3 support or WIFI… And that’s a bummer. They did implement OSC, so I figured, why not give the miniMAD wifi of its own for ~$20. And the best part is that this little wifi adapter runs off of a 5V 1A micro USB cable That I can plug directly into the RPi. I’m using the GL.iNet GL-MT300N-V2 it’s a little bit overkill for this, but works great out of the box. Since MadMapper doesn’t have any immediate plans to give the miniMAD wifi, this little box will do the trick. 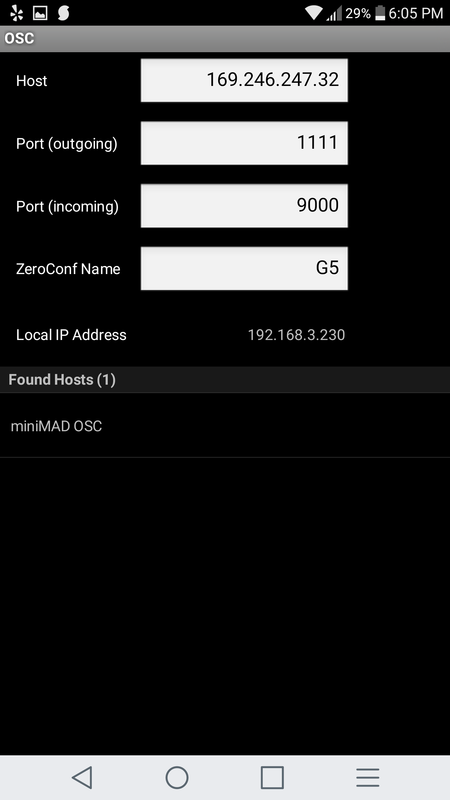 I did have one issue with the miniMAD giving TouchOSC an incorrect IP address, but I corrected it by logging into the back end of the small router and pulling it’s correct 192.168.3.27 IP Address. miniMAD IP address was not correct. I had to enter it manually. Here’s an article with a DIY method for creating automated projection mapping installations. PocketVJ 3.0 Open-source Raspberry Pi Projection Mapping tool and more! Here is a link to the article I published for MadMapper’s miniMAD little projection mapping tool. Currently still in BETA and to be fully released by end of June 2015, the latest version of MadMapper 2.0 is awesome. Multiple Sources & Inputs mapped to different masks… Better over all performance, Retina Display 64 Bit, LED Scanner, Vector SVG to Lines Import, Support for AVFoundation which is the back end in OSX 10.9 & 10.10, and 3D Objects. And thus far all my attempts to break the BETA have failed. Looking forward to the full release at the end of this month. VJing Projection Mapping Mac & PC live coding VDMX Madmapper. Best way to capture and share VJ content? Honored to have helped make a video celebrating the life my friend Jimmy Cvetic. 1949-2019. ❤️ Memorial is tonight at 7pm.